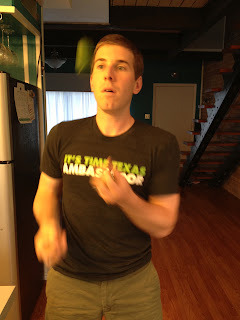 It's nearly impossible to lose weight if you never learned to juggle. Here is the secret why losing weight, New Year's resolutions, and most other ambitions fail. We start juggling EVERYTHING at once! Jugglers quickly discover if they start juggling more than one ball they end up all over the floor. The same holds true for losing weight. Beginning a new exercise plan, new food, new clothes, and a new routine is a recipe for disaster. Before long all the balls are dropped and we're back where we started. Failing fast and falling hard makes us believe juggling is impossible. We believe we will NEVER learn to juggle or NEVER lose weight. The secret to juggling is beginning with one ball. Jugglers practice repeatedly with one ball until they can juggle one ball without thinking about it. The same is true when tackling weight loss. One focus at a time. (I recommend exercise- studies show you are 50% more likely to succeed.) We must incorporate exercise and activity into our life EVERY day. Practice until it is easily repeatable. Until it is a habit. Then we're ready to juggle a second ball. Adding in a second task requires the same, if not more, focus and intensity then when we first started. Now there are two tasks to juggle. Exercise and counting calories. 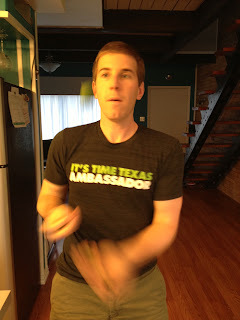 Juggling, like a healthy life, never requires zero-focus or zero-effort. It always will. 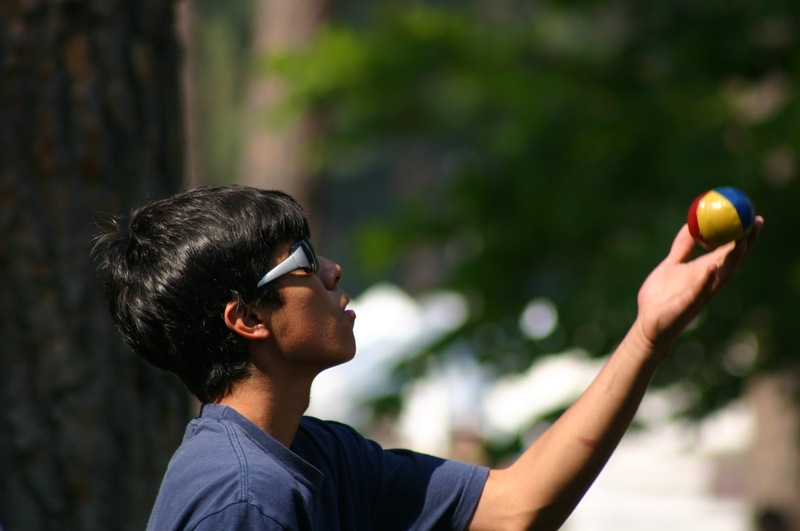 The great news is, like juggling, it gets easier through repeated practice. Only progress from 1 to 2 to 3 when the previous step is repeatable and routine. Check out my video "What We Can Learn From Jugglers About Losing Weight"
Find fit by juggling one habit at a time and incorporating the next step when you're successful. Health happens one habit at a time. Did you start with one or jump straight to juggling everything? Which worked better for you? 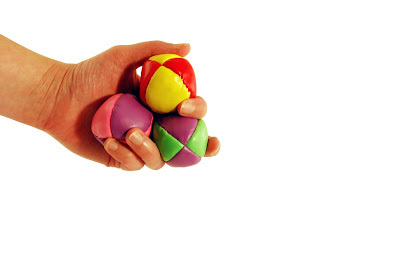 Do you know how to juggle? Send me the video on Facebook or via e-mail.